This time, Donald Trump started it. “I laughed out loud,” Warren told the Globe’s Annie Linskey, of her initial reaction. Then, characteristically, she returned fire, tossing in a few of Trump’s signature exclamation points for good measure. She called him a bully and attacked his positions on a range of issues, including his economic expertise. Their occasional exchanges — which began in March with Warren tweeting that Trump is a “loser” who “cheated people” — have not been what we’d traditionally think of as presidential. But it is refreshing to watch politicians go after each other in real time. Their entertaining Twitter feud, which I certainly hope is not over, probably ranks among the most unscripted moments of this entire campaign. It also raised anew the question of what, exactly, Elizabeth Warren wants. For many months, she has declined to endorse either Hillary Clinton or Bernie Sanders. She is, in fact, the only Democratic woman in the Senate who has yet to declare her support for Clinton, feeding the suspicion that she’s just as lukewarm about her as many other liberals. 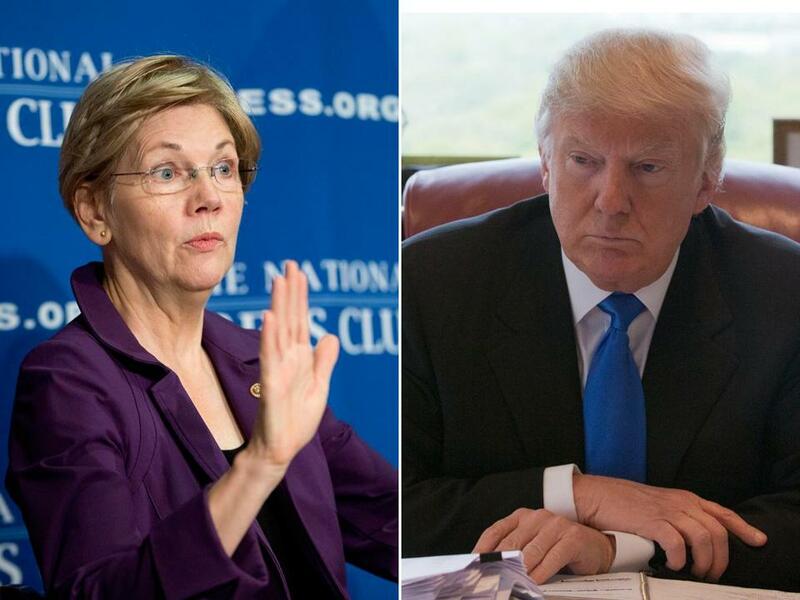 The feud between Donald Trump and Elizabeth Warren is surfacing yet again. Still, she has emerged as a tough and effective sparring partner against Trump, and everyone knows that attack dog is the first job of a running mate. She has never given any indication that she wants to be in the ticket, but she has made a point of not closing the door on it, either. It’s easy to see what Warren would bring to a ticket with Clinton. She excites the left-leaning wing of the party that Clinton has struggled to connect with. She speaks with passion and conviction about Wall Street reform, which Clinton does not. And Warren would give a huge jolt of energy to a campaign that is looking more and more predictable. On the other hand, being vice president to someone who shares little of her passion for greater financial regulation, her signature issue, might not be Warren’s idea of a great way to spend the next four to eight years. Trump’s attacks are said to have rallied his base. Perhaps so, but to anyone who watched Warren’s Senate race against Scott Brown, Trump’s rhetoric is nothing new. He has relied heavily on recycled bits about Warren’s disputed Native American ancestry, a claim that apparently rests on family lore. Like his new “goofy” moniker, for Warren, his comments seem to lack the bite that he has deployed so effectively in dispatching his GOP rivals. Twitter snark aside, whether Warren would run with Clinton is emerging as one of the interesting questions of the campaign — not least because of Warren’s stubborn refusal to discuss her apparent reservations about Clinton. In this bizarre campaign, in which nearly every prediction has gone bust and the shocking is now ho-hum, Warren has weirdly emerged in a good position. Not only is she a credible choice as a running mate, she might be the obvious choice. Trump should not be underestimated as a general election candidate. But he shouldn’t be overestimated either. There’s clearly plenty to attack. And it’s hard not to relish the notion of Trump, whose insulting casual comments about women are well documented, running against two women known for their intellect and grit. His hair might explode. If Warren truly believes that Trump is dangerous, as she has claimed, then she is going to have to get off the sidelines. Tweeting that he is a loser isn’t going to decide an election. If Warren really thinks America must be saved from Donald Trump, she’s going to have to join the fight in the trenches. Here’s hoping she does. 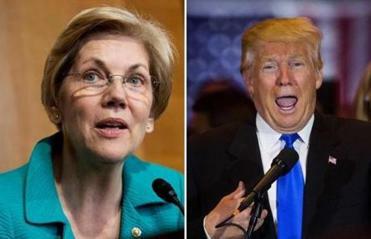 If the Trump-Warren feud is any indication, it would be a campaign to remember.